For a golfer, there’s never a bad time to visit Pinehurst Resort, but the fall, with perfect temps and little precipitation, is particularly sweet. In addition to the famed resort, which will host the U.S. 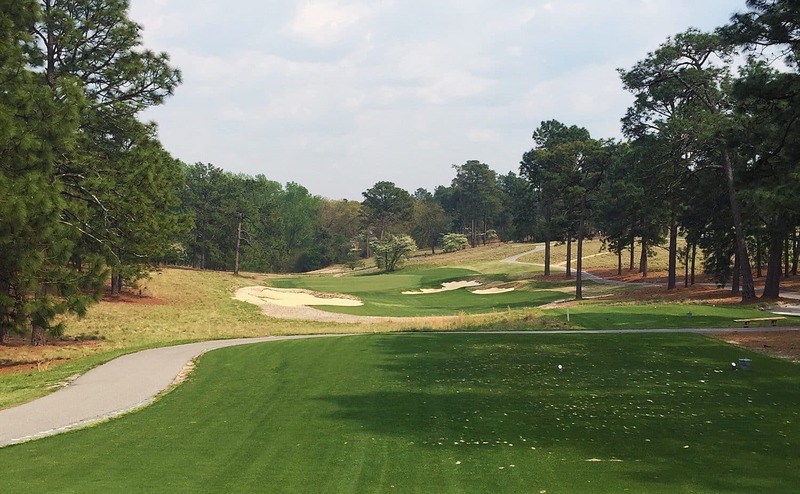 Amateur Four-Ball next year (and another U.S. Open in 2024), and its nine courses, there are at least a dozen other layouts worth playing, starting with the other Donald Ross gems at Pine Needles Lodge/Mid Pines Inn. Both also offer a variety of golf packages with accommodations. But there’s a lot more to Pinehurst and nearby Southern Pines—located about a 70-minute drive from Raleigh/Durham airport—than just golf. In addition to some unique shops and excellent restaurants, there are plenty of other activities to enjoy, especially for horse lovers. MORNING: Many people think No. 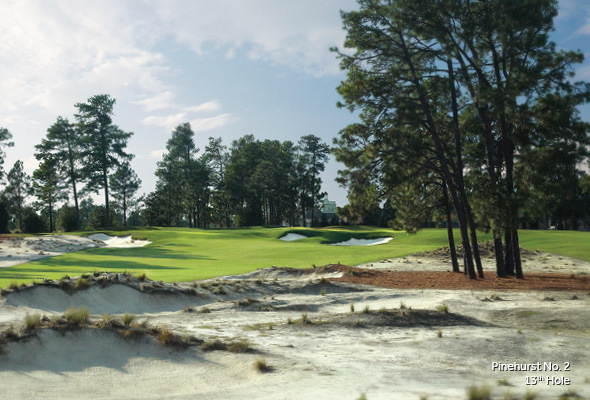 8 is the best course at Pinehurst; there’s no doubt Tom Fazio’s rolling homage to Ross is the most scenic. The green falloffs might even be tougher than No. 2. 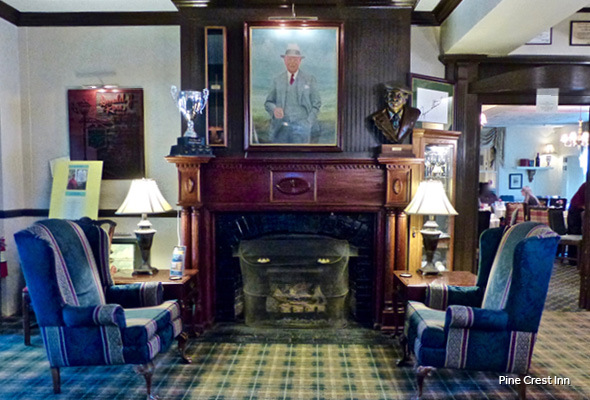 AFTERNOON: After lunch in the Donald Ross Grill, tee it up on No. 4, a Ross layout that Fazio redid in 2000 with more than 140 pot bunkers. OFF-COURSE OPTION: Get the 80-minute “Champion’s Massage” at The Spa. The hot-stone therapy will loosen your shoulders, neck, and upper back, while a golf-ball foot massage will revive aching feet. The spa also has an on-site esthetician and offers high-end facial products. MORNING: Located five miles from the village on more rolling terrain, Mid Pines is a treat to play, especially after a 2013 renovation by Kyle Franz that restored the green sizes and sandy scrub to the fairway borders. AFTERNOON: The charming bar at Pine Needles serves the best burger in town, while the dogleg-rich course, which hosted three U.S. Women’s Opens, just reopened after a greens and bunker renovation. OFF-COURSE OPTION: The Pinehurst Harness Track is the oldest in the state and features polocrosse, races, jumping shows, and more. If you’d rather ride than watch, visit Carolina Horse Park, Foxtrack Training Center, or Blue Moon Stables. EVENING: For the best steaks and wine in town, Ironwood is it. Ask for an outdoor table. MORNING: A half-hour north of Pinehurst is the captivating Tobacco Road. Created by the late Mike Strantz, the big, bold course is a visual and strategic feast of blind shots and stormy greens. design rewards precision rather than brawn. OFF-COURSE OPTION: The streets of Southern Pines, which started as a railroad station in the late 19th century, have an array of locally owned boutiques and galleries, including the Campbell House, which has monthly exhibits of local, regional, and national artists. EVENING: At Ashten’s in Southern Pines the food, like the pork schnitzel, is always fresh and excellent (ask for a table in the wine bar). MORNING: Breakfast at the Track (cash only), then, at last, tackle No. 2. Practice your up-and-downs on the practice green next to the first tee and take a caddie as carts are limited to the path. AFTERNOON: Relive your round at The Deuce, a new bar and restaurant (go for the Loaded Tater Tots) with memorabilia and views of the famed finishing hole. A trip around the 18-hole putting course, Thistle Dhu, is the perfect way to conclude your experience. OFF-COURSE OPTION: About 40 miles northwest is Seagrove, “the handmade pottery capital of the U.S.” due to the natural clay deposits. More than 75 potters spin their wheels and sell their wares. EVENING: Elliotts on Linden is about as farm-to-table as it gets. A couple of miles from the resort, this local institution offers up a variety of tasty dishes from shrimp and grits and seared scallops to lamb and elk in an intimate, country setting.